Heat oven to 350°F. 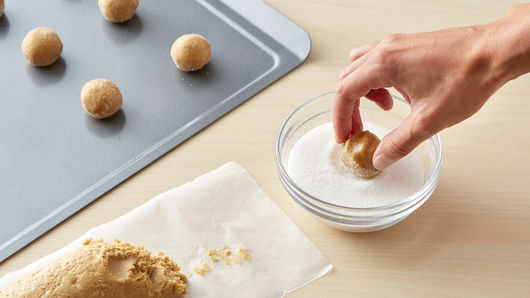 Shape dough into 36 (1-inch) balls; roll in sugar. On ungreased cookie sheets, place balls 2 inches apart. Bake 9 to 14 minutes or until golden brown. 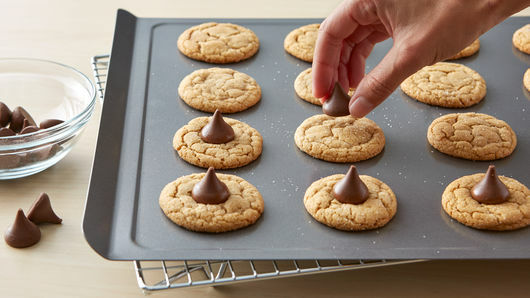 Immediately top each cookie with 1 milk chocolate candy, pressing down firmly so cookie cracks around edge. 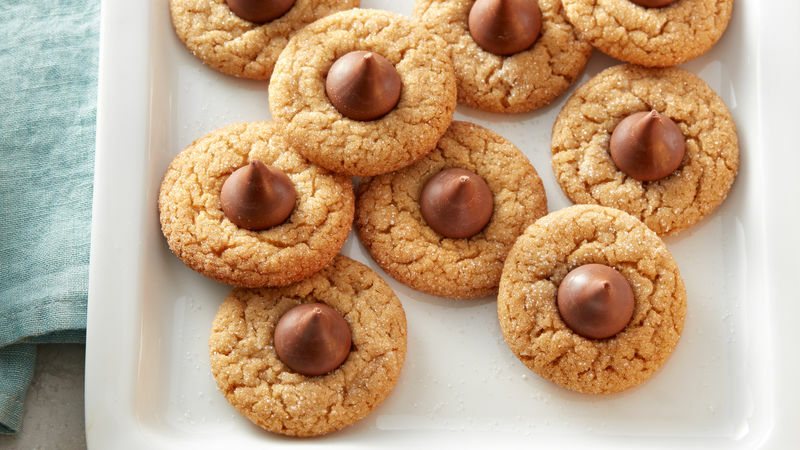 Remove from cookie sheets to cooling racks. Cool completely before storing. In lieu of refrigerated peanut butter cookies, try refrigerated chocolate chip cookies to please any chocolate lover!